Residents of the private sector on Kharchenko Street in Sevastopol are raising the alarm. Construction of new houses in their area can lead to landslides. About a month ago, the site owners began construction work literally a few meters from the carriageway located on the hill. Sevastopol residents believe that with the advent of colds and rains, the soil will slide, and this endangers the security of the entire district. Reportedly, the hillside is not equipped with a retaining wall, and in the area where the construction is underway, all the trees which root system was holding the soil, were cut. Residents note that because of the narrow roads and the features of the landscape, concrete mixer will not be able to approach the site. Which means that fire truck will not pass either in case of a fire. The owner of the site is impossible to contact. The workers said that two two-storeyed houses are being built here. The residents of the street appealed to the Sevastopol "officials" for assistance, but they reported that private homes might soon appear on adjacent dangerous sites. Before the start of the construction, the employees of the "Emergency Ministry" went to the site and then reported to the "government" of Sevastopol about the necessity to repair the road. Regarding the safety of construction, residents appealed to "State Construction and Expertise Department Sevstroinadzor". If nothing changes, people intend to appeal to the "prosecutor's office" of the city. In September, two Sevastopol beaches "Kacha-2" and "Priboy" were closed due to landslides. 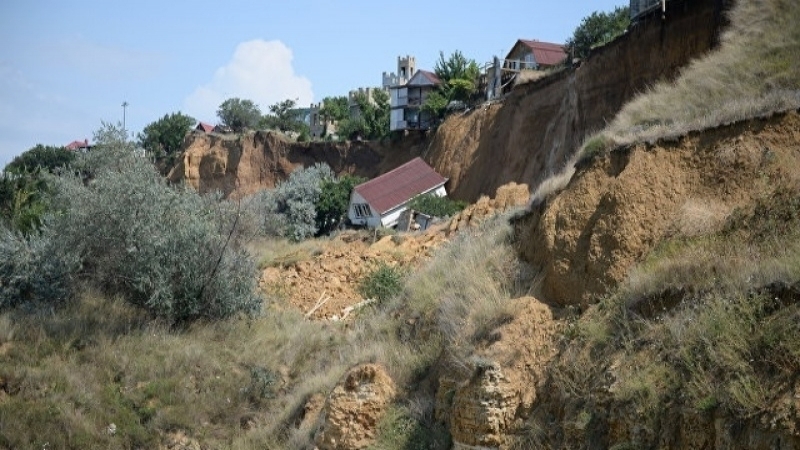 In July, a landslide intensified in Sevastopol, which led to collapse of two buildings, landslide also threatened 33 land plots. Then rescuers fenced the territory in the area of the landslide and cut off the power supply of homes in the risk zone.